The third meeting of the International Olympic Committee (IOC) Coordination Commission for Beijing 2022 was held in the Organizing Committee’s Shougang headquarters this week (September 17-18) to discuss progress made so far and the work that lies ahead in Games preparations. It was the first Coordination Commission meeting for Beijing 2022 since June 2017 and after the successful staging of the Olympic Winter Games PyeongChang 2018. 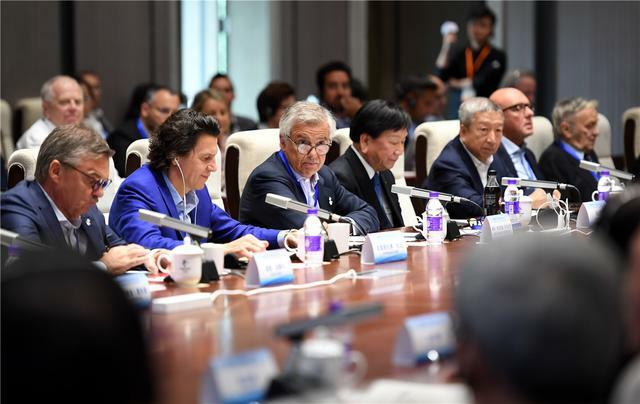 Representatives from the IOC and International Federations expressed confidence in the speed and quality of Beijing 2022’s progress. “At this stage, you have done more than that could be expected. We feel very confident of what is going on,” said Coordination Commission Chair and IOC Vice-President Juan Antonio Samaranch. 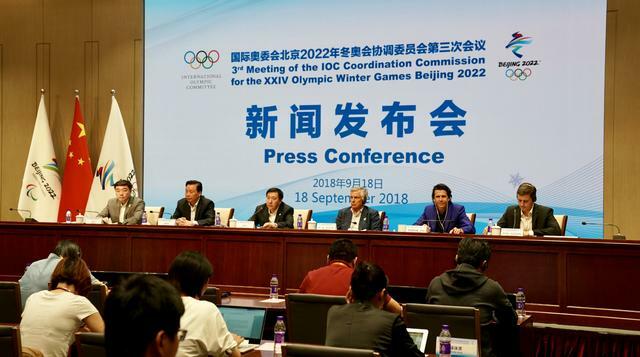 With the Olympic Winter Games having now officially entered the “Beijing Cycle” and only 16 months to go until the first test events, the amount of work, pace, and standards expected of the Organising Committee has increased significantly, said Zhang Jiandong, Vice Mayor of Beijing and Executive Vice President of Beijing 2022. To step up work in areas like venue and infrastructure, competition organisation, Games services, accessibility, and talent training, Beijing 2022 is to strengthen its already-close cooperation with the Coordination Commission, whose expert advice will be much appreciated, Zhang said. All the work for Beijing 2022 will be carried out in keeping with “Olympic Agenda 2020” and the “New Norm,” which places great importance on sustainability and legacy, he added. Of the 13 competition and non-competition venues in the Beijing zone, many are legacy venues from the Beijing 2008 Olympic Games. General plans for Beijing 2022 have also been made to suit the long-term development needs of the three competition zones of Beijing, Yanqing and Zhangjiakou. “You are building a very intelligent Games. And this is something that not only will give you a wonderful legacy in infrastructure but also a more personal legacy for the citizens,” said Samaranch. “The IOC and the entire Olympic Movement are extremely happy to be here and very very confident that the Beijing 2022 can mark a new era for winter sports,” he said. Beijing’s winning bid for the 2022 Winter Games has already served as a catalyst for ice and snow sports across China, with skiing and skating populations increasing rapidly. The Games themselves and Beijing 2022’s education and engagement programmes are expected to encourage millions more to take up winter sports. In addition to a slew of meetings held at Beijing 2022’s Shougang headquarters, members of the Coordination Commission went on a venue tour that took them to the National Indoor Stadium, the gymnastics and handball venue for Beijing 2008 that will become one of two ice hockey venues for Beijing 2022, and the Olympic Tower, which overlooks the Olympic Park and the entire Olympic city of Beijing. They also went to the venue locations for Snowboard and Freestyle Skiing Big Air, the Beijing Olympic Village, as well as the “Ice Ribbon” National Speed Skating Oval. 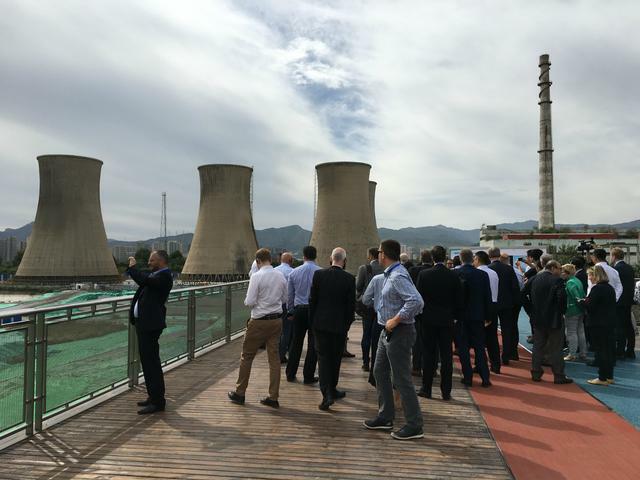 The Big Air venue will be built next to four cooling towers in the Shougang Industrial Park, an old steel factory now being transformed into avant-garde sports, recreation, and office spaces. The Beijing Olympic Village, a short distance away from the Olympic Park, will be used as rental housing after Beijing 2022 to attract more talents to work in the Chinese capital. The National Speed Skating Oval is one of two new competition venues in the Beijing zone – the other being the Big Air venue – and is being built on a piece of land that used to be Beijing 2008’s temporary hockey and archery fields. Main structures above the ground are expected to be completed by June 2019. Many energy-saving and other new technologies are being adopted to make it a green and smart venue. It also has solid post-Games use plans in place that will benefit the public and elite athletes alike. Members of the Coordination Commission were joined by two Chinese athletes in the “Water Cube” National Aquatics Centre, the swimming and diving venue for Beijing 2008 that will transform into the “Ice Cube” for Beijing 2022’s curling events. 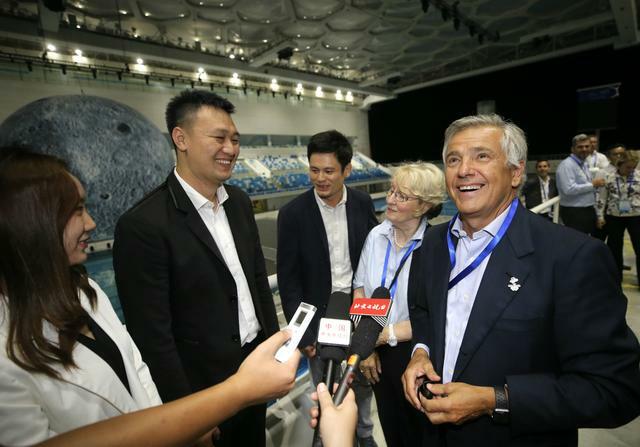 Zhang Lin, who won a silver medal in men's 400m freestyle swimming in the Water Cube in 2008, told Chair Samaranch that he had been cherishing his special connection with the venue. Yang, a young curler who competed at the 2017 Asian Winter Games for the Chinese women’s team, said it would be exciting to play curling in such a special venue. “It is a transformation from the Water Cube in 2008 to the Ice Cube in 2022. It is also inheriting a legacy from 2008. I really hope to be able to compete at Beijing 2022,” Yang said to Samaranch and Kate Caithness, President of the World Curling Federation.